The historical Parish of Kiltullagh is situated at the Western edge of County Roscommon adjoining the counties of Mayo and Galway. The Parish has three churches in the villages of Ballinlough, Cloonfad and Granlahan. The name Kiltullagh comes from the Irish words “Cill”, meaning church and “Tulach”, meaning a small hill. 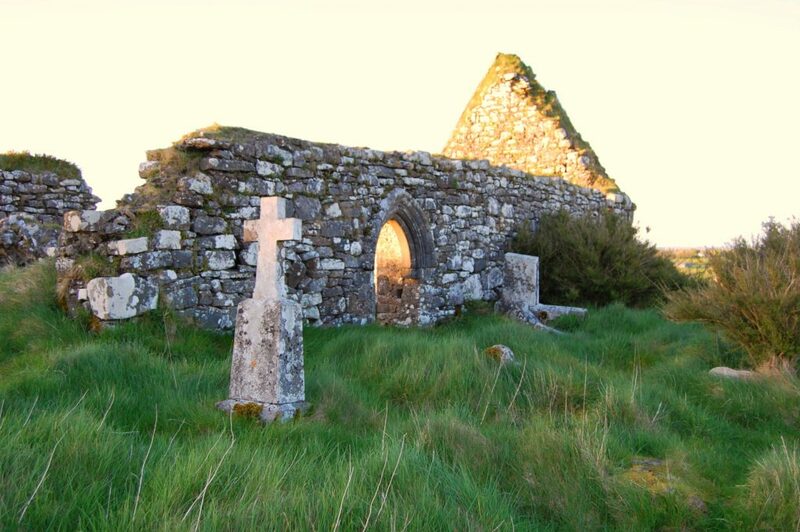 Historical records tell us that a local chief,Enda O’Flynn, was converted to Christianity by St. Patrick and gave land to the saint for the building of a church on Cill Tulach or Kiltullagh – which became the name of the parish. Kiltullagh is a mainly rural parish – agriculture being a major area of employment. The area is uncrowded with gentle hills, green pastures, streams. lakes and bogs. Many emigrants left the parish in the last two centuries – maybe their descendants will be looking at this web site. Visitors will always be welcome – come for the fishing , the peaceful countryside, the smoke-free pubs and restaurants and the friendly people. Kiltullagh is also an ideal spot for business. We have good broadband access and are within easy reach of Knock Airport and with road and rail links to Dublin and major towns such as Galway, Castlebar, Sligo and Roscommon.